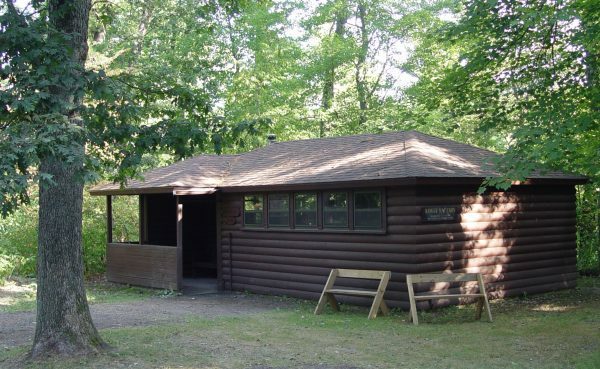 Located just 2 miles north of Wisconsin Dells, Upham Woods is 310 acres of beautiful mixed deciduous/coniferous forests and sandstone formations right on the Wisconsin River. 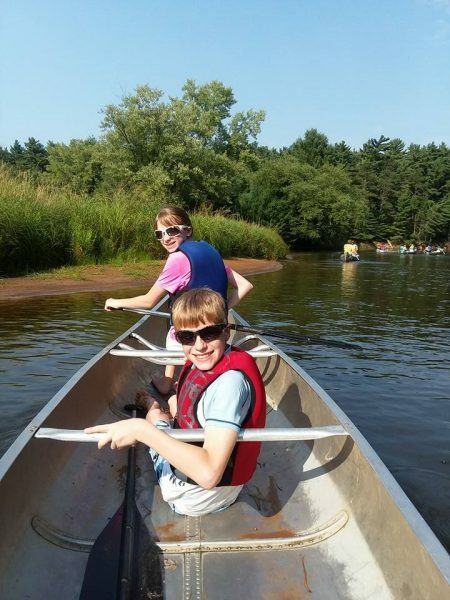 Whether your child has never been to Upham Woods, or wants another chance for an amazing Upham Woods camp experience, we’re here to make a memorable summer. Studies have shown that going to summer camp helps youth grow in areas such as self-confidence, independence, making friends, exploring and learning new activities. Even for a short time period, time spent at camp can benefit a child all the way through adulthood. To read some studies highlighting the benefits of camp click on this link. At Upham Woods Open Enrollment Camps, campers learn about the natural world, themselves and each other in our traditional summer camp program. 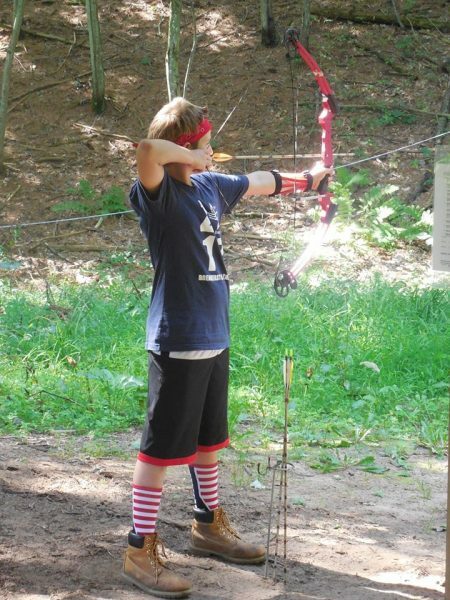 Camp activities include hiking, canoeing, archery, swimming, our low element challenge course, and so much more. The traditions of summer camp and unique qualities of Upham Woods combine for an unforgettable experiences. The perfect gift for the kid that has everything or the child in your life that craves an adventurous outdoor experience! Download this certificate to present your child, grandchild, friend, or neighbor with the best gift of all: The Upham Woods Summer Camp Experience! Click Here: 2019 Registration is OPEN! We’ve added more camp sessions to fit your summer schedule! Scroll through all of our camp information below or download our information here: Camp Packet. Youth Counselors- ages 14-18 (as of camp dates) * Camp Counselor Training held in Spring 2019, see below for more information. Adult volunteers- Adults currently enrolled as 4-H volunteers or can participate in UW-Extension VIP (Volunteer in Preparation) Training. We welcome volunteers who want to help provide a safe and memorable camp experience for youth. Contact Upham Woods for more information on the VIP Training. Click here to be directed to ONLINE REGISTRATION. Note: Online registration can be used for campers, counselors, and adult volunteers. This two county camp is for youth in grades 3 through 6 and will be a cooperative effort between Green and Columbia counties. We will need campers, youth counselors, and adult chaperones. If you’re interested in participating in this camp, get your name on the waiting list by completing the pre-registration form on page 25 in this newsletter or by contacting Jennifer at the Extension Office. Final registration will be sent to all who pre-register. You will be the first accepted. If you are 14-18 years old and want to help provide an amazing camp experience, we’re looking for you! To make these fantastic summer camps possible, we need camp counselors who want to expand their leadership skills, build their resume, and spend time in the beautiful outdoors while providing a great experience for the campers. If you are interested, please fill out the Camp Counselor Application Form. Any interested counselors must attend a summer Camp Counselor Training with their county or with Upham Woods. Limited spots available so make sure Upham Woods is in your summer plans! Click here to learn about the value of being a counselor. Counselors interested in more than one Open Enrollment session, please contact Upham Woods for an adjusted rate. Why is there a fee for youth counselors? The fee partially covers their meals during camp. If you are over 18 years of age and would like to help make camp great then Upham Woods could use your expertise! Take the opportunity to attend camp with your child, 4-H club, scout troop, youth group, or anything else! Any interested volunteers can contact us for more information. Adult Volunteers attend Open Enrollment Camp at Upham Woods for NO cost! CLICK HERE TO REGISTER YOUR GROUP ONLINE! Families, are you looking for a way to share a meaningful experience with your kids at a prime location? Have you ever dropped your kids off at camp and wished you could stay and join in all the fun? Here’s your chance! 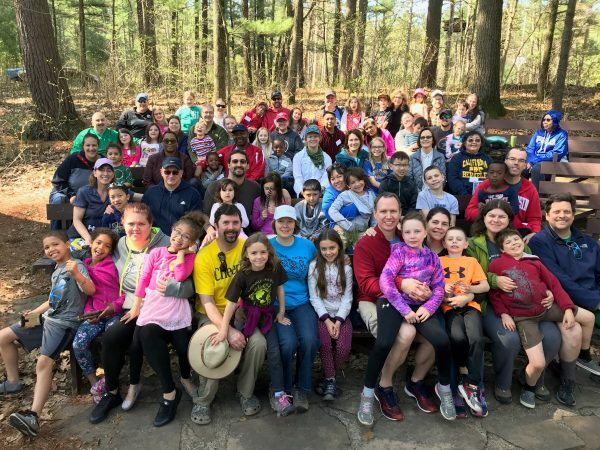 This means that everyone in your family, any age, can attend camp at Upham Woods and experience the quality summertime fun that we can offer. Canoeing on the Wisconsin River, hiking on Blackhawk Island, testing your archery skills, sharing campfire songs and stories, and more! All of this while staying in a beautiful camp conveniently located in Wisconsin Dells. Bring just your family unit or invite aunts, uncles, cousins, and grandparents to share in the camp experience. Registration will include all meals while at camp. Multiple registration options! Lodging fee includes all meals while at camp. Have a big enough group that you want a whole cabin? Contact us for pricing! Family Camp – What’s the Plan? Day 1-Morning arrival-Get checked in and settle into cabins or dorm rooms. Gather for welcome and camp orientation- safety, camp layout, food service etc. How will you spend the day? There’s lots to choose from! Bring your own activity! Do you know how to do something that others would like to learn about? Share your talents and lead an activity. Meal are served family style in the Lodge. Game Time- Capture the Flag! Relay races! Dodgeball! What’s camp without a campfire? Smores, songs and skits make campfire time a blast! Mid-day departure-Goodbye til next time! Click here to download a registration form. Mail the form and your payment to Upham Woods, Attn: Jennifer, N194 County Road N, Wisconsin Dells, WI 53965. Make checks payable to Upham Woods. Sorry, we are unable to accept cash or credit cards.